Trails lit by candles are beautiful and almost magical. Join us for this popular annual event starting from Wildwood Elementary, Mahtomedi (8698 75th St N, Stillwater, MN 55082). We invite all skiers, snowshoers, and those hungry members who just want to eat to come to the annual Ski Luncheon. 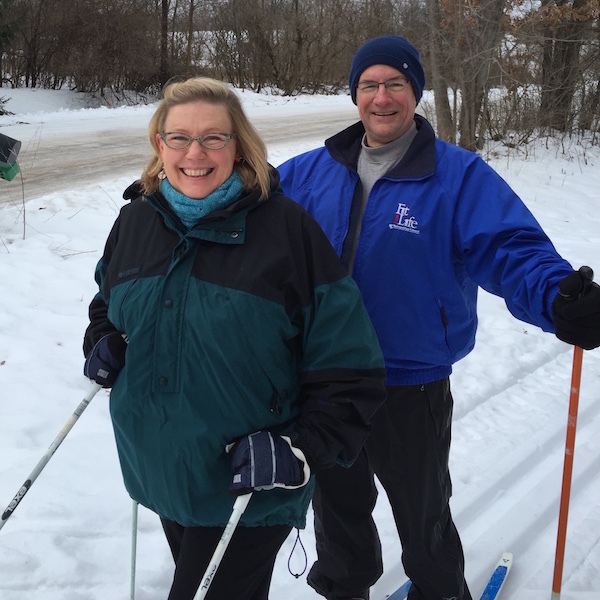 10am ski/snowshoe: Skier and snowshoers will meet at 10am at Bob Hagstrom’s home (8441 Kimbro Ave N, Grant Township) and proceed approximately 1.75 miles on ski/snowshoe to the restaurant. 12pm lunch: Anyone may join us at the Gasthaus Bavarian Hunter Restaurant (8390 Lofton Ave N, Stillwater). All guests are responsible for their own tab and may order directly from the menu. Please register for this event by clicking the link below. Snowshoeing is a fun way to beat those winter blues! This program is for all experience levels. Bring your own snowshoes or reserve a pair. Child snowshoes are not available. For reservations call 651.231.6968 or email linda.radimecky@state.mn.us. Note: Program will be canceled if there is less than 6 inches of snow.